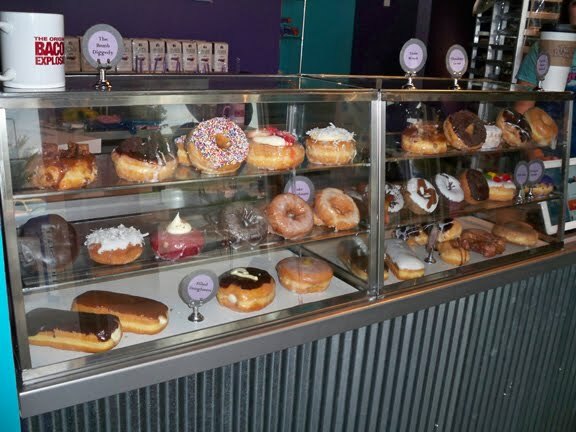 Finally, a doughnut shop for the crazy, mixed-up world of today. Who’s got two thumbs and is bonkers for doughnuts? My daughter, that’s who. 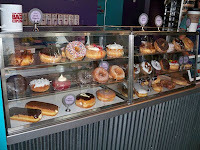 So for a fun Saturday morning treat, I took her to Twisted Doughnut, Kansas City’s newest doughnuteria. 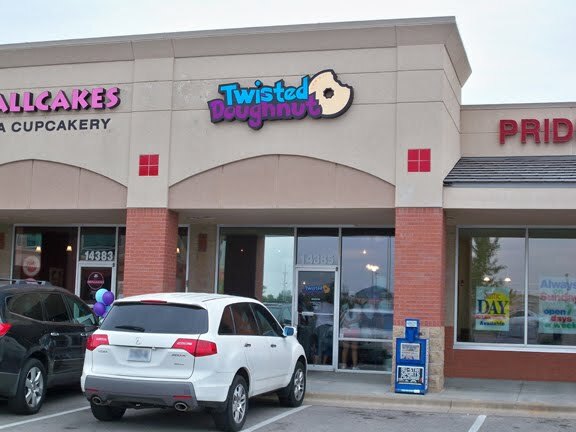 Twisted Doughnut is from the brains behind Smallcakes, and shares space with that cupcakery’s original location. They’ve got some unusual varieties of doughnuts and long johns, a few of which involve bacon. Then they’ve also got your everyday glazed and cake doughnuts -- you know, for all the squares and lame-o dweebyheads.